Furry friends are a big part of your life, and we believe vacation should not be left out! We allow both service animals and beloved pets to join our guests at our property. 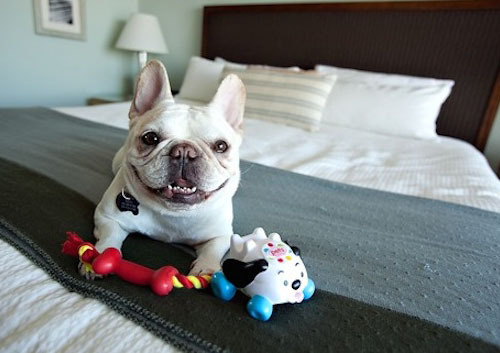 Our hotel is pet friendly, at a one-time stay charge of $50 per pet. Guests with pets or service animals are provided additional amenities upon check in to help make traveling with their animals as enjoyable and easy as possible. Please call us with any additional questions! Check out our partnered pet supply vendor - Redbarn Pet Products! Come relax in our open air atrium pool and jacuzzi area. Our heated pool is kept comfortable for enjoyable swimming all year long. Relax in our jetted jacuzzi at the end of your fun day at the beach. The pool area offers ample seating and towels for our guests to take a peaceful dip during their stay. The fitness center is on the second floor near the pool. Visit the pool and fitness area from 6am-10pm daily. Pool Capacity: 23, Spa Capacity: 8. Enjoy our complimentary hot breakfast served each morning in our breakfast café. 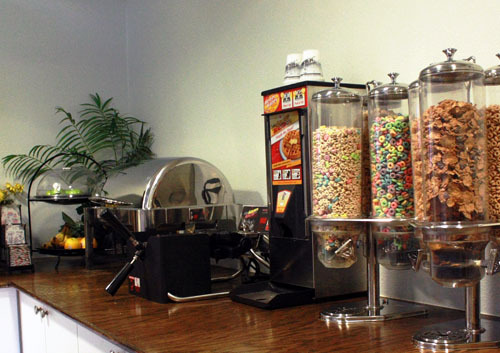 We stock our breakfast room with wholesome and classic options that vary each day. Our menu is enhanced seasonally to provide our guests with variety and the highest quality options. Weekdays breakfast is served from 5:30-10:00am and Weekends from 6:30-11:00am. Come indulge! The Pacific Inn is an excellent location to enjoy many award winning local restaurants. 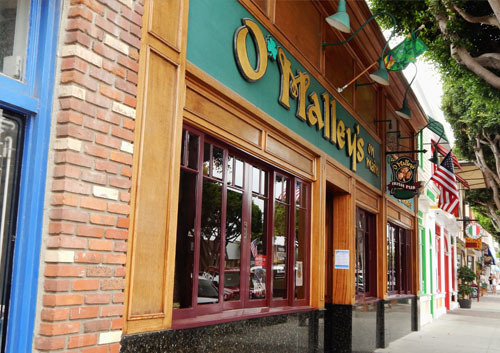 We are walking distance to many delicious options featuring casual to international cuisines. Take a look at a few of our neighborhood favorites! Seal Beach is located in excellent proximity to local beach activities, as well as the great attractions Southern California is famous for Disneyland and Knott's Berry Farm are only 25 miles from Seal Beach! 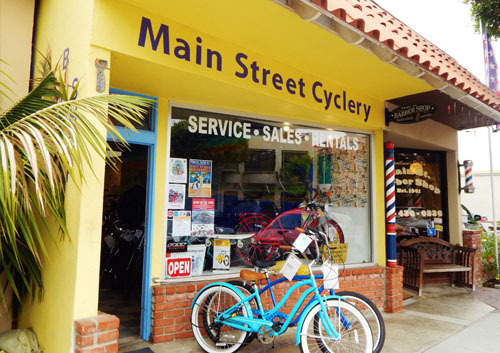 There are many options for activities in our very own neighborhood, explore some of our favorites below! Discounted Aquarium of The Pacific Tickets, available in our lobby! Utilize our area shuttle for your local transportation needs! We offer an area shuttle within a 5-mile radius of the hotel address. 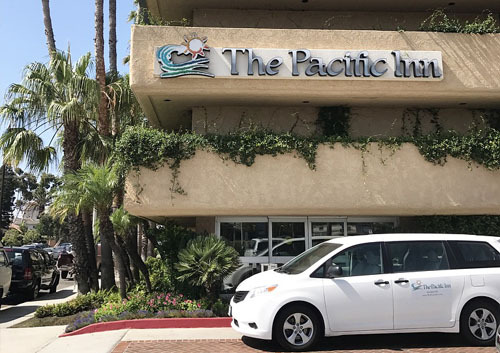 The Long Beach Airport, Carnival Cruise Line, The Queen Mary, Aquarium of the Pacific, and Belmont Shore are just a few places that our area shuttle can take you to. All shuttles are set up by reservation on a first come first serve basis. Our shuttle is available from 8am-9pm daily.